While some people are inclined to run inside and hibernate for the winter, we were thrilled to meet this family to create portraits for them in the late fall. With a climate most similar to New England, the High Country of North Carolina experiences cold and snowy winters. We love the color harmony in this portrait with the balance between the warm red and the cool blue. The texture of the sweater and blanket evoke the cozy feeling of being snuggled up nice and warm even though it is cold. The little boy's thoughtful expression showing his beautiful, dark brown eyes makes him look very confident and self assured. 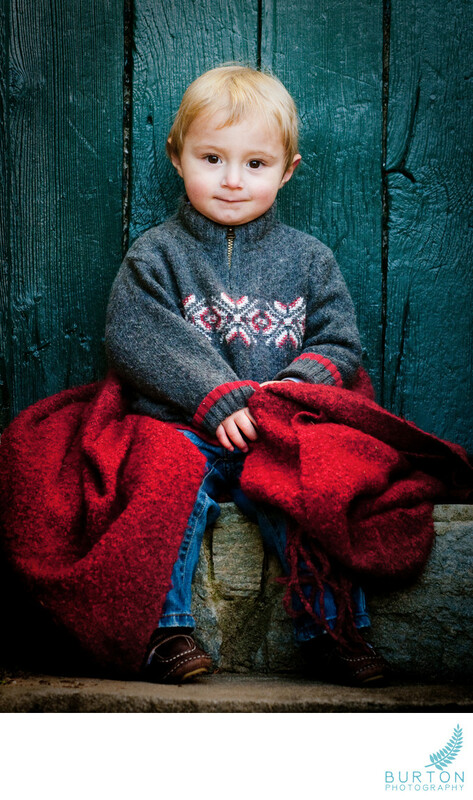 This portrait has been on our website for several years and is one of our all-time favorites.